Of all the social media networks, LinkedIn is the most business-oriented. The vast majority of LinkedIn users are involved in business of some kind, and therefore can make great connections for authors who want to sell books in bulk to companies, speak at events, or otherwise connect with influential business leaders. Following are some ways you can make the most out of your efforts on LinkedIn. 1. Choose a Descriptive Title – One of the first items in your LinkedIn profile is your title, which appears alongside comments that you post in LinkedIn groups, and easily helps others understand what it is that you do. Take full advantage of this by providing a descriptive title, which can include your book title and even your website link. Mine reads: Author, Speaker, Forbes Blogger, Publisher, Social Media Strategist | New book: Own Your Niche, AuthorityPublishing.com. 2. Complete Your Profile – LinkedIn users often use the search feature to find resources, and in order to get found, your profile should be loaded with keyword-rich content. Fill out as much information as possible, including your current and past work history, honors and awards, and projects. 2. 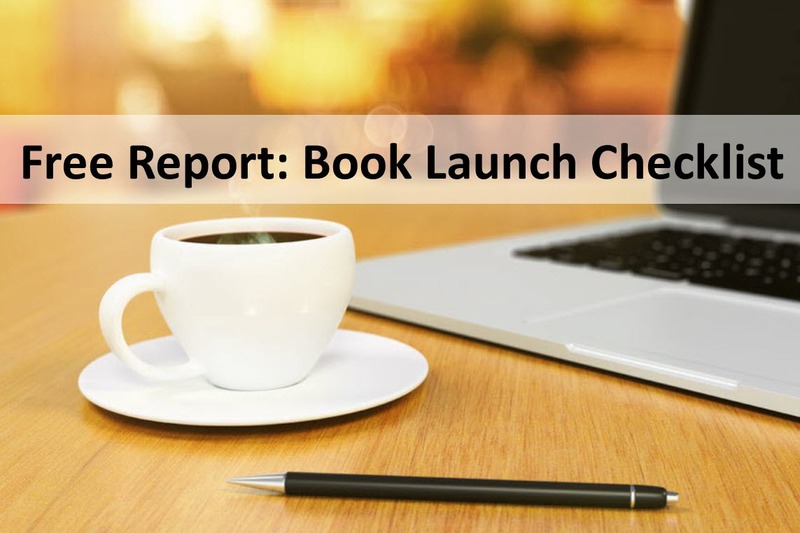 Feature Your Book – In the “Publications” section, you can list details about books you’ve written or contributed to, including a synopsis of each and a link to learn more about the book. Note that you can link to your book’s page on Amazon or another online retailer, though I personally prefer to link visitors to the book page on my own website. 4. Import Your Contacts – LinkedIn makes it easy to connect with the people you already know by allowing you to import your contacts into the system. Best of all, you can rest assured that your entire contact list will not be spammed by LinkedIn. Instead, you will see your contacts listed, and it will show you who already has an account on LinkedIn. You can then choose to send those people a LinkedIn connection request. Note that if you have trouble following the automated email connection options on LinkedIn, you can also choose to export your contacts into a spreadsheet and then import them manually. You’ll find this option under Contacts > Add Connections > Any Email. 5. Participate in Groups – Groups on LinkedIn are typically quite active. You can find all kinds of business-related topics here, and can choose to join many groups if you like. Realistically, you will only be able to dedicate time to one or two groups so choose the ones you want to focus on wisely. Get involved by answering and asking questions and engaging with members. Top contributors in a group receive extra exposure. Over time, members of the group can get to know what you’re about based on your contributions so be sure to deliver value. You can also subscribe to daily or weekly email digests from the groups that you belong to, which makes it easy to quickly scan new discussion topics and decide if you want to click through to contribute. 6. Start a Group – Consider starting your own group on LinkedIn, which is free and can provide excellent visibility. The best way to get started is to choose a niche topic that isn’t yet being covered. If you launch a topic that already exists, make sure you present your group with a unique perspective on the topic. I run the Nonfiction Authors Network on LinkedIn, which grew very quickly in a short amount of time. You are welcome to join us! 7. Use Advanced Search – The advanced search feature on LinkedIn makes it easy to locate key contacts. For example, if you wanted to find the person in charge of the Back to School campaign at one of the large office supply companies, you could type in the company name, campaign name as a keyword phrase, and even the job title. You might be surprised by how it easy it is to locate the people you want to reach. Note that you cannot send LinkedIn mail to someone you aren’t connected to unless you subscribe to LinkedIn premium access. However, you can still go back to Google to do further research and dig up an email address for the person you want to reach. 8. Get Recommendations – The recommendations feature on LinkedIn is meant to help users with the job search process (the original purpose behind LinkedIn). However, you can solicit recommendations for your book, for you as a speaker, and for your business. Recommendations are prominently displayed on your profile and add an element of credibility. Reach out to your contacts and ask for recommendations. In return, you should plan to give some recommendations as well. 9. Use Endorsements – Recently LinkedIn added a feature called Endorsements, which allows people to easily click a button and “endorse” your skills and expertise. You can indicate the skills that you want to be known for by adding these when editing your profile. LinkedIn will automatically begin to ask your connections to endorse you. In return, you can also take time to pass along endorsements to those in your network. This takes very little effort, though these endorsements can add up and can help demonstrate your authority in your subject matter. 10. Share Content – Though the news feed on LinkedIn isn’t nearly as active as the news feed on Facebook, people do pay attention. Many LinkedIn users subscribe to daily emails that summarize the activity from people in their networks. With this in mind, be sure to share content on LinkedIn several times each week, or even daily. This can include your new blog posts, event announcements, quick tips, and other content that your audience would find valuable. 11. Accept New Connection Requests – Be sure to check your LinkedIn invitations at least once each week to accept new requests from people who want to connect with you. Use your best judgment, but also be willing to accept new people into your network. Often you will receive requests from readers, people who attended a presentation you gave, or people who are fellow members of a group you belong to. LinkedIn is a business network, so be willing to expand your horizons and accept most invitations readily. 12. Participate – For the best results on LinkedIn, and all of the social media networks, you should commit to participating on a regular basis. If you only login to Linkedin once a month, you will miss out on building your networks and staying active. If you want to reach a more professional audience, LinkedIn is a great place to devote some of your time and energy.